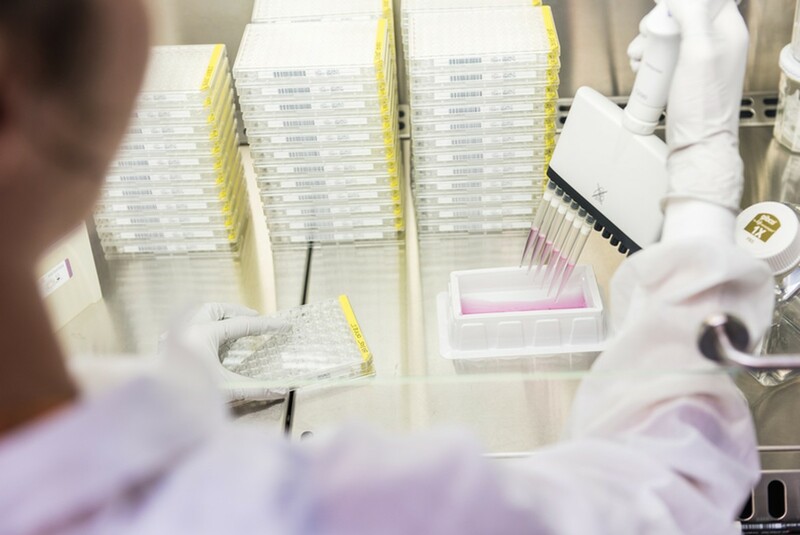 UM CURE 2020's central aim is to improve knowledge of metastatic UM that can lead to an effective treatment of metastatic disease in UM patients, ultimately with the initiation of clinical trials. New relevant preclinical models to test therapeutic interventions and to further increase our knowledge of disease mechanisms (WP3). As the project progresses, these should lead to the initiation of at least one clinical trial dedicated to metastatic UM patients. UM CURE 2020 Clinical trials will be posted here. The most complete and user-friendly website provided by the US NIH also listing many European trials. The provided tutorial and glossary may be of use to facilitate understanding of the information obtained through the portal. Talking to your doctor beforehand can be beneficial to obtain some guidance of which trials might be useful to your particular situation. 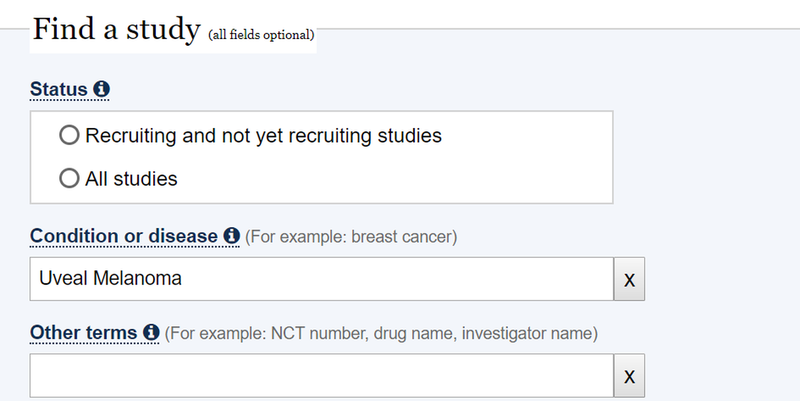 After selecting a clinical trial of your interest , you will find the description of the study, including the protocol, inclusion and exclusion criteria and a list with locations at the bottom of the page. European based trials are not as detailed, but a reliable email contact can be found for further information. The search engine lists existing clinical trials in Europe, providing extensive technical information in the search page which can sometimes be difficult to read through. Nonetheless, details listed by European country and the trial sponsor contact information can be found under Point B.5, after a specific clinical trial is chosen.